The two-day pop-up festival is being delivered by the team behind the world-famous Spirit of Speyside Whisky Festival. We’ll drink to that! Countdown on to Speyside food and drink festival. If you’re looking for beer that promises to be – in the words of a Speyside brewer – a refreshing change from “mass produced mouthwash” or cool ideas like adding a slice of apple, rather than a wedge of lemon, to enhance a gin and tonic, then Spirit of Speyside: Distilled is the place to be. Keith Brewery and Caorunn Gin feature in the 30-strong line up of exhibitors taking part in the two-day celebration of the region’s gastronomy on September 1 and 2 at Elgin Town Hall. Spirit of Speyside: Distilled offers the chance to meet the producers – like the chocolate maker from Favour-it Flavours who is isn’t afraid to experiment with new tastes, with crushed Oreo, caramel biscotti and jelly bean being among the most recent trials, and she’s never short of volunteers to help with a spot of new product sampling. Find out the best cuppa to start the day, with Cairngorm Leaf and Bean and discover how Macleans Highland Bakery add a twist to their oatcakes offering ranges that have a touch of chilli, haggis, seaweed and black pepper or vanilla. Bartenders, baristas, brewers, whisky makers and foodies will be there so expect to find samples and tastings, demonstrations, food and drink pairings, storytelling and masterclasses. It’s the second of the new-breed event celebrating the vibrancy of Speyside’s food and drink producers, from artisanal operators to the globally renowned drinks brands. It seeks to show the region’s wide range of gourmet delights with surprising flavours from alternative producers who, alongside the region’s well-known whisky brands, are keeping the region at the fore of the Scottish food and drink scene. The craft producers join the big hitters and they all have one thing in common – people passionate about making great tasting food and drink. “A new generation of people want to seek out artisanal products while enjoying the produce of pioneering businesses that placed the region on the food and drink map. “What makes Distilled stand out is that food and drink producers come together under one roof. There are so many great food and drink companies operating in the region and this event is a good way of highlighting that diversity while making it easily accessible to visitors. Distilled is sponsored by Bruce Stevenson Insurance Brokers and runs over four sessions, from 1-5pm and 6-10pm on both the Friday and Saturday. Tickets are priced at £20 and this includes entry, six vouchers for tasting samples of gin, whisky or beer, a lanyard and a Glencairn crystal nosing and tasting glass. All whisky, gin, beer and foods on offer will have a Speyside provenance and there will be the chance to purchase products from stand holders. Festival merchandise will also be on sale. Distilled: A Celebration Of Whisky, Gin, Beer And Food. 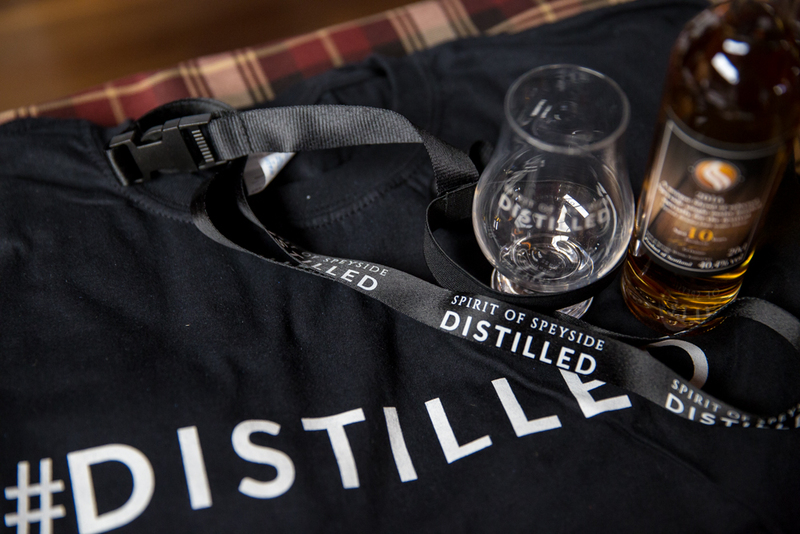 Spirit of Speyside: Distilled is a celebration of the region’s whisky, gin, beer and food. Speyside is the beating heart of Scotland’s whisky industry: it is home to more than half of the country’s distilleries and a host of internationally renowned brands. Many of those will be taking part at the event, which takes place from 1 – 2 September in Elgin Town Hall. Tokens, costing £1, will be available at the event and these can be used to taste an extensive range of additional samples. 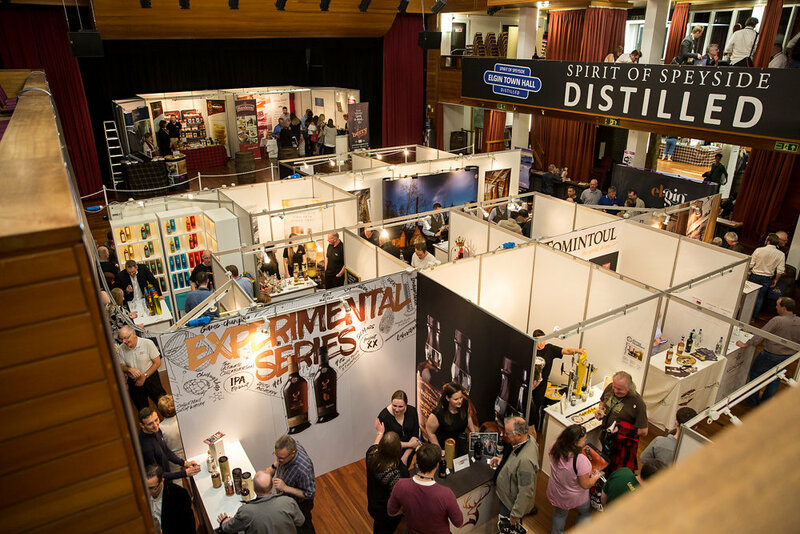 Distilled is an offshoot of the Spirit of Speyside Whisky Festival, which has been running for almost 20 years. The Festival takes place over the early May bank holiday weekend each year and comprises around 500 events across the Speyside area. Food and drink producers blend together to give festival fans a taste of Spirit of Speyside: Distilled. With thanks to Esther Green, Senior Account Executive, Tricker PR. Beer, beetroot and berry-flavoured gin – it’s an unusual combination but some of Speyside’s best food and drink producers are about to blend together for an event that will tantalise tastebuds. Over 30 exhibitors have confirmed they will be taking part in Spirit of Speyside: Distilled – a celebration of the region’s gastronomy – next month. Small producers such as Simpson’s Ice Cream, Berry Good Gin, rum distillers Beach Craft Spirits, Spey Valley Brewery and chocolates from Favour-it Flavours will set up alongside globally renowned brands including Baxters, The Glenlivet, Walkers Shortbread and The Macallan for the two-day event. 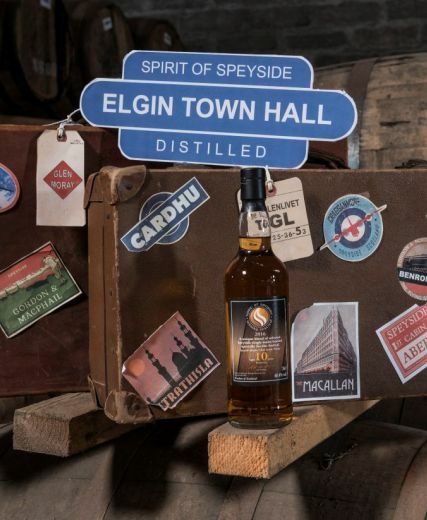 Spirit of Speyside: Distilled, which is staged in Elgin Town Hall on September 1 and 2, is an off-shoot of the popular annual Spirit of Speyside Whisky Festival. Now in its second year, Distilled aims to showcase the region as a true foodie paradise offering so much more than whisky. Festival chairman James Campbell says the fact that Distilled blends together household names with small one-man operations proved to be a real talking point at last year’s inaugural event, and organisers are delighted to introduce new exhibitors this year. “It is only when so many food and drink producers are gathered together under one roof that people really begin to realise how many fantastic companies we have operating right here on our own doorstep. “The feedback we got from visitors last year was that they really enjoyed being able to wander around, sampling cocktails, gin, whisky and beer and getting a taste of the food that has also put Speyside on the map. As well as producers, visitors to the event will be able to enjoy the products served up by some of Speyside’s best bars and eateries. The Copper Dog – part of the Craigellachie Hotel – will be re-created in the hall’s Supper Room and will have cocktails flowing, live music and food. The Station Hotel, Rothes, will have a team of mixologists on hand to pour its signature range of whisky and gin cocktails – including the specially created ‘Distilled’ in honour of the event – while Elgin-based bar The Drouthy Cobbler will be giving visitors a taste of what it provides along with some Speyside-themed street food. And – showing that Speyside is not all about hills and glens – the team at Harbour Lights in the coastal town of Lossiemouth will be showing off local seafood by serving up smoked salmon canapes and other treats. The first bottles of gin to be distilled in Aberdeen for over 100 years are now hitting the shelves. There is a rich history of whisky distillation around the city and shire, and a UK-wide gin boom, but there were previously no gin brands from the Granite City. 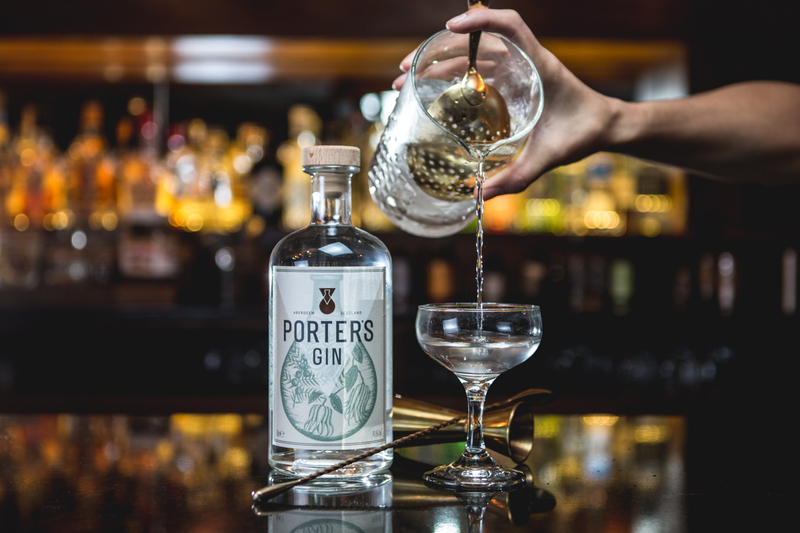 Porter’s was created by a team of licensed trade professionals Ben Iravani, Josh Rennie and Alex Lawrence, and named after Professor Andrew Porter from Aberdeen University, who sourced their distillation equipment. “We are delighted to be playing such a big part in gin’s revival in the north-east, however it is our story and distillation technique that really make Porter’s unique. With bottles now available to pre-order from the first batch, the flavoursome spirit features aromatic and citrus notes which the trio are confident will win over traditional gin connoisseurs as well as those less inclined towards the juniper-based tipple. The unique flavour profile comes from a fusion of traditional and modern distillation techniques. The equipment procured by Professor Porter, which is known as a rotary evaporator, allows botanicals to be “vacuum-distilled” at low temperatures. Through hundreds of small scale distillations and experiments with botanicals, the team discovered that this process extracts light refreshing flavours that cannot be produced in a traditional copper still. The traditional component of the gin adds depth and balance to the flavour, and is created in partnership with a Warrington distillery that has been operating for over 250 years. “Our whole production method is based on creating a unique but bold flavour for mixing drinks, and we put a lot of hard work into balancing the modern and traditional elements of the gin. We also use only 100% British grain wheat alcohol and certified ethically sourced botanicals. This all results in a world class product. Orchid and Ninety-Nine Bar and Kitchen in Aberdeen are owned by the sister company Monkey Bars Ltd and the group plan to sell Porter’s within their cocktail bars. With thanks to Jessica Murphy, Senior Account Executive, Citrus Mix. A trio of trade professionals have become the first to start distilling in Aberdeen city centre for 100 years. 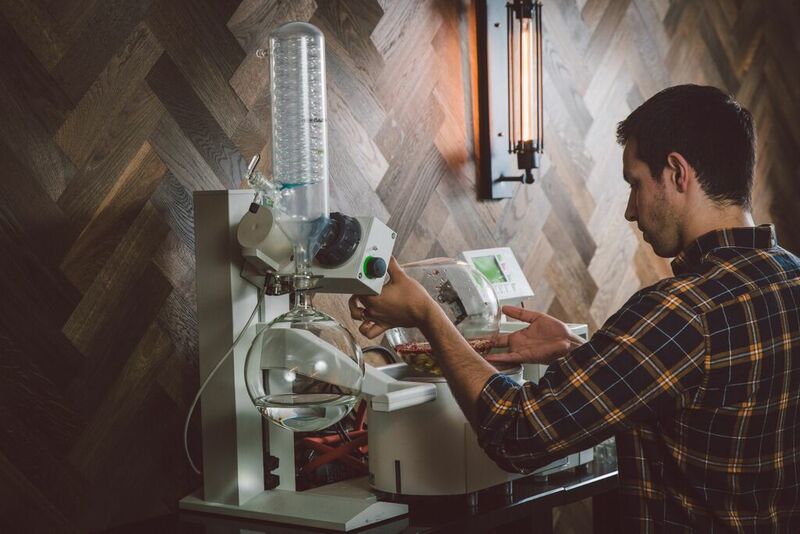 Founders Ben Iravani, Josh Rennie and up and coming UK bartender Alex Lawrence, have spent the past few years fine-tuning their gin – undertaking hundreds of small scale distillations in order to perfect their method and recipe. They have been working closely with the UK’s oldest distillers G&J in a collaboration to bring a premium gin to the market this autumn. The result is the flagship Porter’s Gin, an aromatic and flavoursome spirit which the trio hope will take off in the booming UK gin scene. This quintessential British drink has enjoyed a surge in popularity in recent years, with 70% of all gin produced in the UK now coming from Scotland. Their juniper-based spirit, which features refreshing aromatic and citrus notes, has been named after Professor Andrew Porter of Aberdeen University, who sourced cold-distillation equipment which allowed the team to extract light refreshing flavours from botanicals. This is an innovative approach to gin distillation with the vast majority of distillers favouring traditional, but less controlled, methods. “Gin is enjoying an incredible renaissance worldwide and is now the drink of choice for many. This is down to a number of reasons, including the role of gin in the rise of classic cocktail culture. The gin market has almost become saturated over the past few years, but the good brands are finding their way to the top. “It has been an amazing opportunity to be part of a team focused on creating a modern gin with classic potential. Looking at it from a bartending point of view has aided us in creating a versatile but bold product and I’m excited for the future as I genuinely believe in the liquid we have created. We want to add a fresh twist to the market with a genuine and honest product. The knowledgeable team have a rectifier’s license which enables them to distil part of Porter’s gin within their award winning cocktail bar Orchid, while the more traditional part is distilled in partnership with G&J distillers in Warrington, the world’s oldest gin distillery. Orchid and Ninety-Nine Bar and Kitchen in Aberdeen are owned by Monkey Bars Ltd and the group plan to sell Porter’s within their cocktail bars this autumn, followed by a launch in London. While Porter’s is the only gin currently being produced in the Granite City, this was not always the case. Aberdeen was once home to a number of distilleries and breweries, among them the Devanha Distillery. More than a century later, Ben and his colleagues hope local gin fans will embrace their creation and kickstart a new era for distilling in Aberdeen. Pre-orders for Porter’s Gin will be available soon. For more information please contact info@portersgin.co.uk.